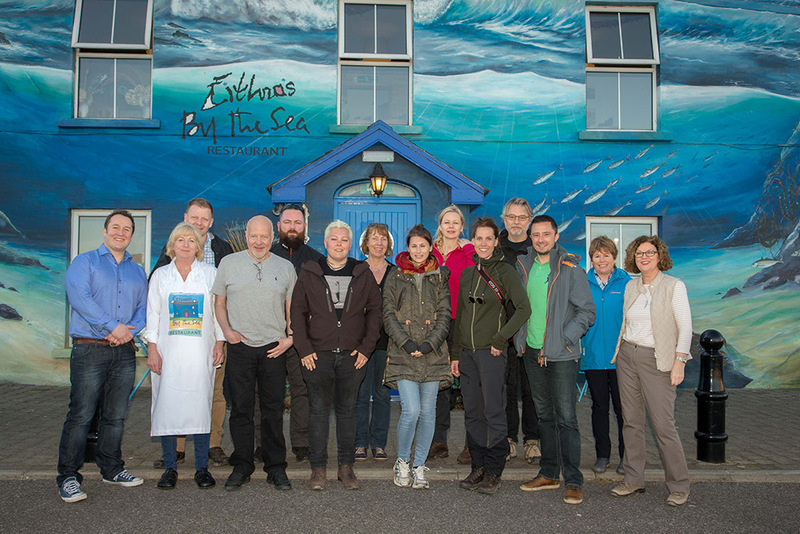 A group of international media from Europe and the US are currently touring the Wild Atlantic Way on a press trip, dubbed Taste the Atlantic: A Seafood Journey. The group, representing online and print media with a combined audience of over 5m, are taking part in a tailor-made seafood trip around Donegal and Sligo. The bespoke itinerary, which was put together by Fáilte Ireland’s International Publicity Department in conjunction with Tourism Ireland, will see the media travel to Donegal and Sligo. Among the activities and places on their trip the group meet with Daithi O’Dowd, owner of Mullaghmore Sea Farm, where they select the seafood catch of the day and then bring it to Eithne’s by the Sea restaurant where chef/patron Eithna O’Sullivan will cook for their dinner. The group will also talk with Fáilte Ireland Food Champions Brid Torrades from Sligo Seashore Secrets and Mary McGettigan, chair of the Taste of Donegal Food Festival. Additionally, the group will spend time at Donegal Brewing Company, and sample some Irish whisky with local distillers Margaret Cunning and James Donerty of Sliabh Liag Distiller and hear about the emergence of local distilleries in Ireland. Speaking about the trip, Ciara Sugrue, Head of International Publicity with Fáilte Ireland commented: “Ireland is gaining a reputation for its gastronomy and excelling as a food destination and we are delighted to host this group of influential media on their Seafood Journey on the Wild Atlantic Way. Visitors want to experience Irish food - they are not necessarily looking for traditional dishes, but food that gives them a sense of the place that they are in."